Having spent the last 25 years in Real Estate I have learned that there is nothing that someone can’t do cheaper or poorer and there is no substitute for great service and quality people. OnTime Signs, is the finest sign post installation company I have had the pleasure of working with. Hands on operation by two dedicated people, no BS just quality work on time every time, no worries. Business is a jungle with lots of headaches. Thank you for making my post installation headache-free. Top quality posts installed on time, every time. I thank you. You can’t afford not to have OnTime Signs working for you. I’m so impressed with the level of service from OnTime Signs! They are professional and always on time! Patti and Mike’s company offers a fast, dependable service with prompt communication on my email sign orders. I’m very pleased with the service and would highly recommend her company. If you want a very efficient, pleasant and professional service you’ll be delighted with OnTime Signs. I’ve had nothing but good experiences with this company! I wanted to take a moment to thank you for the peace of mind that your service provides. Since my listings take me in different directions within the GTA, a reliable service such as yours has proven its value time and time again. My signs have always been installed and removed in a timely manner and are positioned appropriately on site to draw the most attention. By using On Time Signs, my listings are being exposed to their neighborhood as quickly as the listings are uploaded – it has been nearly simultaneous! This service has allowed me use my time more effectively for my clients in addition to giving me the ability to focus on other marketing efforts. Your service is certainly one that is appreciated. Thanks again!! When an agent gets a listing we need to feel confident that a sign will go on the lawn in a timely manner (second to NONE in this regard). I am particular – I want a sturdy looking sign that is deep enough in the ground that it doesn’t sag or sway and look like a rookie installed it. I want a post that is freshly painted and looks professional – some of the signs I have seen that agents pay for are a joke – filthy/old/falling apart – and I’ve seen them on million dollar homes. I don’t EVER want a sign to look substandard on one of my listings…Period! I also want the company to have electronic invoicing & payment options so that when it comes time to file HST & do my taxes it’s easy to reconcile. Quite simply OnTime Signs exceeds all of my requirements – they are second to none. They are part of my team that includes trusted mortgage brokers, lawyers, home inspectors, home stagers and movers and I won’t do business without them. OnTime Signs has been very attentive to my needs. Installations, service all handled quickly and efficiently. I highly recommend their services. In April 2015, following my mother’s death, I was faced with the daunting task of clearing out her house. Over four decades of accumulation and memories was not easy to tackle. My husband and I delved into the project with enthusiasm, but we seemed to make little progress. Our real estate agent mentioned someone who had assisted them in some of their house preparations—Patti Washington. After a couple of telephone conversations we met with Patti. Immediately we found her professional and business-like. She went through the house and gave us a quote for time and cost. We accepted. On the agreed days and time Patti was always on time. She was efficient, organized, kind and most of all empathetic. She knew exactly how emotional this was for me and in her quiet way she got the task completed with seemingly little upset to me. Patti was hardworking, strong and thorough in her job. She completed the job in less time than proposed. She is well connected with charitable organizations and donates as much as possible, instead of using dump sites. We have and will continue to recommend Patti and OnTime Signs & Staging to anyone faced with a similar situation. In our Books she is A+. Barbara and Gerry Van S.
I cannot say enough about the staging and organizing that Patti completed in preparation of the sale of my home. She cleverly re-configured our existing furniture and accessories and made our home look even better! Her vision and organizational skill created excellent results. I was so impressed at how she made every room look larger and like it came out of a magazine. 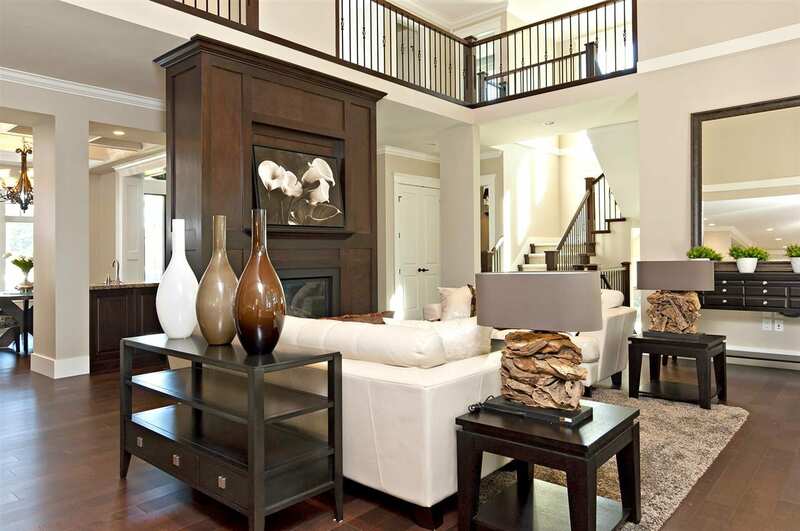 I am truly confident that her expertise in staging certainly sold my home quickly! What stars you and Patti were today. It was our family’s lucky day when we found you to help us with Mom’s house. A million thank you’s!! When my mother entered a nursing home recently, I needed help to organize and pack all of her belongings. This job involved going through and processing items to be donated, re-cycled and thrown out. This was a daunting task since mom had lived in her home for over fifty years. I was referred to Patti Washington and her company OnTime Staging. Patti came into the home and quickly assessed the situation, making decisions and giving timelines for completion of the task. I was very impressed with her ability to be decisive and to follow through with the plan of action. Of particular help to me and my family was Patti’s experience in Real Estate Staging. In our case she was able to make suggestions and help in the staging of the home prior to it’s listing. It is not until you are faced with the job of this magnitude that you realize you need help. I would highly recommend OnTime Staging to anyone needing help in organizing, packing and staging of a home.